After spending the week on the high seas, the ships of the Standing NATO Maritime Group 2 arrived in Constanta, Romania, on 13 March 2015 for a scheduled 3 day port visit. SNMG2 is currently composed of the flagship CG-69 USS Vicksburg, 337 HMCS Fredericton, F-241 TCG Turgutreis, A-1442 FGS Spessart, F-574 ITS Aliseo and F-222 ROS Regina Maria. According to the spokesperson of the Naval Forces General Staff, lieutenant-colonel Corneliu Pavel, during the stopover in Romania of the SNMG-2, scheduled between March 13-15, visits of the foreign military officials are programmed at the Fleet Command, as well as sporting competitions between the Romanian and foreign sailors that will be hosted on the campus of the Mircea cel Batran Naval Academy and visits by the crews of the ships to the Romanian Navy Museum. 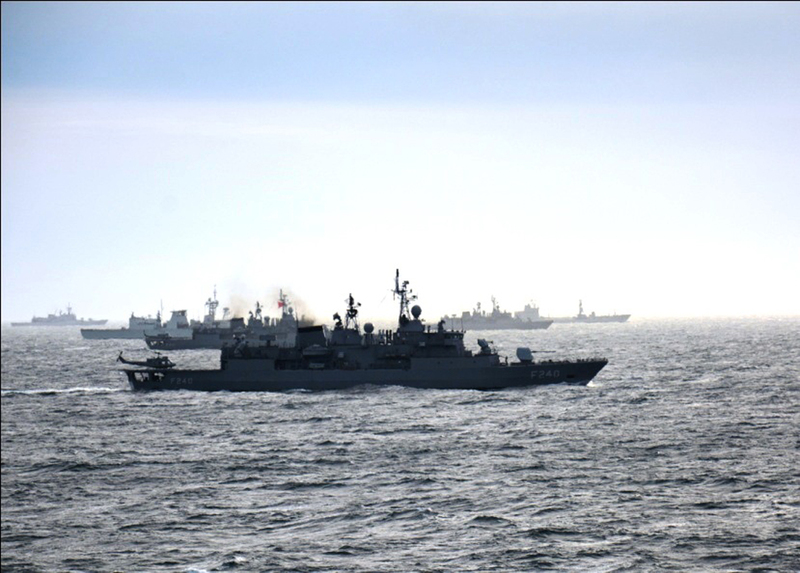 “The SNMG-2 activities will continue at sea, starting with Monday, March 16, with exercises being programmed together with the Marasesti frigate, two corvettes, two missile-bearing ships, as well as with Romanian military airships”, the spokesperson added.